In this article we explain what a VPN is and why you could need one for your mobile device, as well as what to keep in mind when choosing a VPN. We also analyze the best VPNs for Android and iOS in our opinion. This article is based on our experience using VPNs in China, where it’s essential to have a reliable VPN. For years, we have been testing many VPNs, and in this article, you will find a short review of the VPNs that we recommend for iPhone, iPad, and Android devices. Getting around internet censorship in China, Iran, Vietnam or other countries that restrict access to a part of the internet. Sending sensitive information (like banking information) over an encrypted connection. This is very important if you connect to public networks. Accessing services that are only available in certain countries. For example, if you want to watch your favorites shows on Netflix or Hulu, but you aren’t in the United States, you can’t; that is, unless you use a VPN to access these websites from an American server! Creating your own VPN allows your employees to access your company’s private network, even if they are not physically connected to it. Reliability and stability: These are probably the most important features and are where the majority of the VPNs on the market don’t make the cut (most of all the free ones). For a VPN to be useful, the connection needs to be fast, without breaks in connection, and secure. 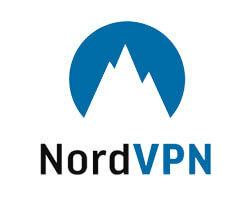 Applications: Have you ever tried to configure a VPN account on your smartphone? I did it and it was not a pleasant experience! It doesn’t matter if your phone is running Android or iOS, it is always too complicated. You are going to have to input large codes and change them every time that you want to adjust the connection of the VPN. A good VPN offers applications for both platforms. All you have to do is download the application, sign in, and… that’s it! The application also has to allow you to configure the VPN connection regardless of where you are (for example, in the event that you want to change server). Simultaneous connections: This aspect is very useful, as it means that you don’t need to disconnect the VPN from your laptop every time that you want to use it on your smartphone. Normally, 3 simultaneous connections tend to be enough. Encryption protocols: Many VPN providers only offer one protocol for Android or iOS devices, which is normally the L2TP protocol. Having the option of choosing between multiple encryption protocols (L2TP/IPsec, PPTP, OpenVPN) is important to be able to adapt your VPN to your needs (security or speed). This might sound too technical to you, but you don’t need to understand the details and the differences between the different protocols. The only thing that you have to know is that normally, the best protocol is OpenVPN (or similar protocols), which is the only one that works in China. L2TP tends to be very slow, and PPTP is insecure. All of the VPNs on the list have been tested in China, where the Great Firewall blocks many websites such as Facebook, Twitter, and YouTube. As a result, it is the perfect test site for checking the reliability of a VPN. In my experience, only a few VPN providers can pass this test: the majority of VPNs either don’t work at all or are too slow and unstable in China. The fastest on the list, easy to use, a large number of servers in multiple countries and excellent after-sale service. The most secure VPN on the list, well-designed apps, cheap annual plan, its own servers and simultaneous connections. What’s the best VPNs for Android? There isn’t one VPN that’s better than the others in all respects. If your priority is speed and reliability, then maybe ExpressVPN is for you, but if you are mainly looking for security (even if you lose out on speed), for example, your option might be VyprVPN. In any event, all of the services we review here are ideal for Android devices and offer good guarantees in terms of reliability and security. As is the case with Android, there isn’t one VPN that’s better than the others in all respects. The VPNs reviewed here work perfectly on devices running iOS. However, be careful if you want to use it in China, as not all iOS apps support the OpenVPN protocol (the only protocol that works in China). What’s the fastest VPN for my cell phone? 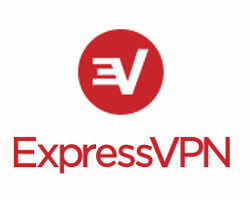 Despite the fact that we haven’t tested out the hundreds of VPN providers on the market today, the VPN that we have tried that generally offers the fastest speed (even on poor connections) has been ExpressVPN. What’s the most secure VPN for my cell phone? 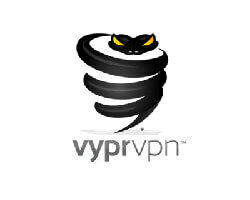 There are a number of VPN services, but out of the ones we’ve tested and analyzed to date, VyprVPN appears to be the one that offers the best security guarantees, protecting you from potential attacks on public networks or the monitoring of your Internet use. Recently, China has strengthened legislation on Internet use and data protection (you can read this article on the subject), making it difficult to say whether VPN use is illegal without being a legal expert. Nonetheless, at least for the time being, a foreigner can use a VPN in the country without many problems, as long as they are not doing any illegal activities with it. VPNs encrypt your communications and make it harder for other people to spy on you or discover your IP address and location. However, your VPN provider can access the information that you send over the VPN and the websites that you visit. Many providers promise not to record this information, but it’s a good idea to use a trustworthy VPN. While a VPN can be hacked in theory, it’s very difficult to do and requires a large amount of time, which means that unless your are valuable target for hackers, it’s very unlikely that this will happen to you. If you use a secure VPN provider, there’s nothing to worry about in 99% of cases. It’s a good idea to download the VPN before entering the country, but if you weren’t able to, you still have options. The majority of VPNs have “mirror” websites that aren’t blocked in China, where you can download the app installer (except on iOS devices). If you have an iOS device, you can configure the VPN manually (the VPN website will tell you how) and then later download the app from the App Store. Is VPN safe on public wifi? Because it encrypts your connections, a VPN can prevent pirates from stealing your private data or controlling your traffic. However, VPNs are not very useful against viruses or malware attacks. This is why you should always use a good antivirus on your devices. While there are a large offering of VPNs on the market, very few of them are quality VPNs. In fact, if you really want to browse with your cell phone and tablet securely, without any restrictions, and at the same speed as you would without a VPN (or faster), I recommend that you choose one of the VPNs on the list, or that you keep in mind the points discussed in the first section of this article. I would also like to remind you that if despite my recommendations, you decide to choose a VPN provider not listed here, especially if it is free or very cheap, that you read the terms of service so that you aren’t surprised later on.